The new monitor offers the same horizontal resolution as the now discontinued 30" display at 2560 across, though fewer pixels vertically (1440 vs 1600). The 30" has been the topic of much speculation as Apple has left the large screen display relatively stagnant over the years. Apple's focus on portable products is apparent as the 27" LED Display appears to be primarily targeted at laptop owners. 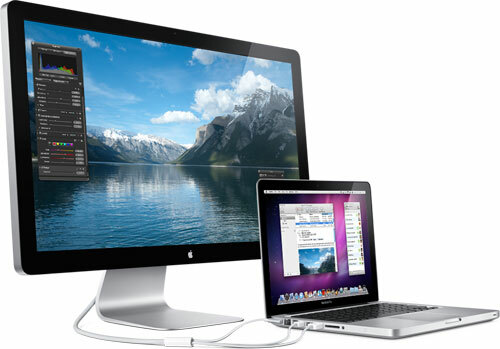 Apple will continue to sell the 24" and 30" LCDs until stock runs out.